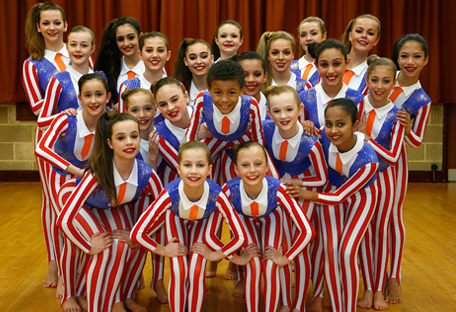 The Easter Training Course in Berkshire is a perfect chance for you to experience life at The Lodge School of Dance. Over the course of five days you'll be able to enjoy a range of different dance styles, including ballet, modern dance, drama, gymnastics, musical theatre and tap dancing. Formerly known as the Beryl Jarvis School of Theatre Dance, the Lodge is a great place to learn a wide range of dance styles. It is a fantastic place to learn the basics of dance, or continue to learn more advanced techniques. Over the years, we have helped hundreds of students to discover their love of dance. Our team love to see students develop their skills in our incredible studio. This Easter dance training course starts on the 4th of April and ends on the 8th. Every day, the course will start at 9am and end at 4pm. It is open to anyone between the ages of 6 and 11 years. We welcome budding dancers of all abilities. For only £250, you'll be able to take part in a great dance training course to help you improve your dancing skills. This Easter, why not enroll in our studios at Holmes Road, Earley, Reading, Berkshire, RG6 7BH. Our studios are completely safe, and all of our staff are friendly and welcoming. All of the dancing styles that our team can teach are extremely different from one another, and you're guaranteed to learn something new. The course will also come complete with a unique t-shirt, so you'll never forget the great week you spent with us. This Easter dance training course will also include a real theatre trip on Thursday 7th of April, to show all students what it's like to be on a professional stage. 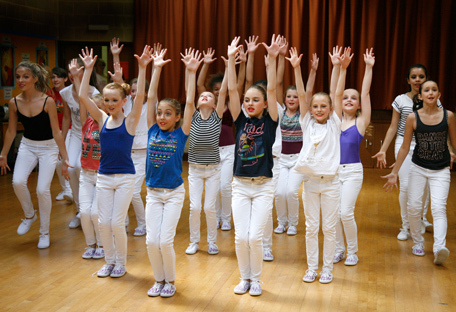 Book Your Place On The Easter Holiday Dance Course Today! Spaces on our Easter dancing course are limited, so get in touch today! You can contact our friendly team on 07758 412 854. You can also email any questions to berkshiresummerschool@hotmail.com and we'll get back to you as soon as we can!